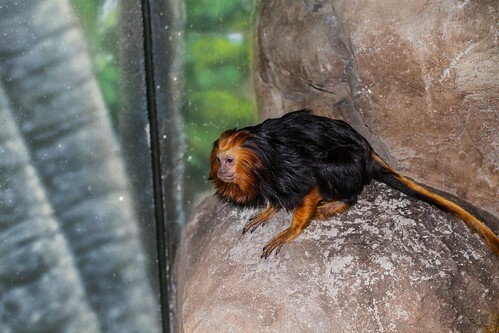 This small primate is named for the bright-gold mane surrounding its head. The body is dark brown to black, with golden markings along the arms and tail. This species is found only in the southern portion of Brazil's state of Bahia. 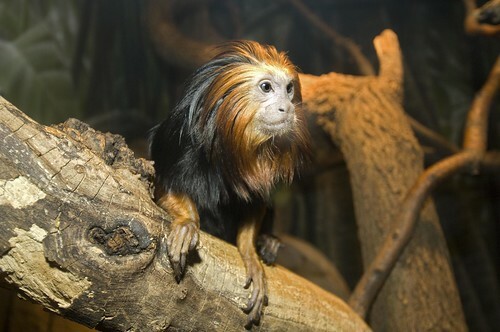 Golden-headed lion tamarins are endangered due to habitat loss and the illegal pet trade. 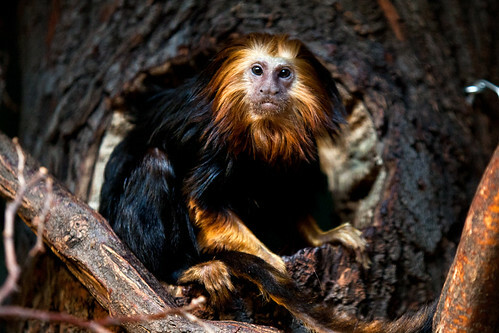 Much of the species’ rain forest habitat has been destroyed in favor of lumber, agriculture and livestock. 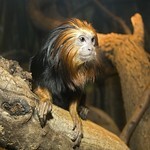 Lincoln Park Zoo helps conserve the species by participating in the Golden-headed Lion Tamarin Species Survival Plan®. 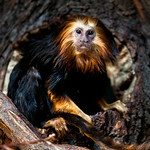 The golden-headed lion tamarin favors the middle to upper canopy of the rain forest. 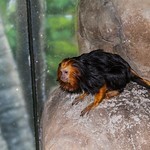 This small primate spends almost all of its time in the trees, where it feeds primarily on fruit and insects. 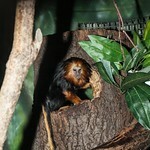 Golden-headed lion tamarins live in groups consisting of a breeding pair and their young offspring. Individuals keep in contact with vocalizations as they forage for food. 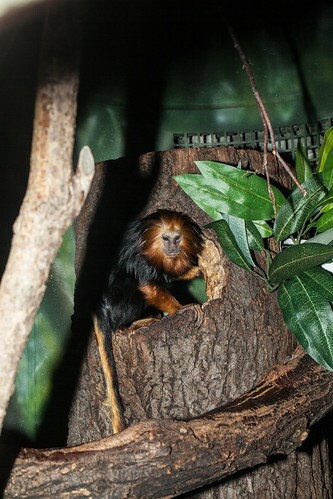 Adults are territorial and will attempt to drive other golden-headed lion tamarins from their area.